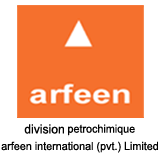 Industrial and specialty Chemicals department of division petrochimique plays an important role by identifying both Commodity and Specialty Chemicals from the world’s renowned sources and channeling them to the various industries in Pakistan. We believe in developing long term relationships with our customers and involve ourselves in the process right from identification of our product sources to providing technical support to customers and also assuring the highest utility in performance. We are proud to have a diverse network of customers and suppliers in the chemical world to cater to Refineries, Paint & Coating Industry, Polyester fiber, Leather, Textile Industries Polyester Resin the Ink Industry, Auto Parts, Rubber and Tire, Domestic Appliances, Adhesives, Cosmetics, Personal Care industries and many more. This unit is fully geared to provide technical know-how, guide formulations along with material testing facilities at our suppliers end and up-to-date knowledge of developments in the specialty chemicals field. We also carry strategic stocks of various items to cater to our customer’s requirement.